Activision Blizzard also reported their end of quarter earnings. For Activision Blizzard, their fourth quarter ended December 31st, 2016 – because they like to keep things simple. Which is super nice for the rest of us, unfortunately most others don’t follow this model. Activision Blizzard’s net earnings for the quarter were $2,0154 million, which was over the expected revenue of $1,856 and much higher than the $1,353 million from 2015. Their end-of-year earnings for 2016 were $6,608 million in comparison to 2015’s $4,664 million. Basically, Activision Blizzard had a freaking awesome year. They credit their success to their wide audience reach, the deep engagement of their properties, and player investment. Their Montly Active User levels spiked 37% from 2015 and 87% higher since 2014, which indicates a strong overall trend. Activision had the biggest online player community in its history in 2016 with an annual monthly active user average of 50 million for the year, which is a crazy number but makes sense when you consider the properties controlled by Activision Blizzard. 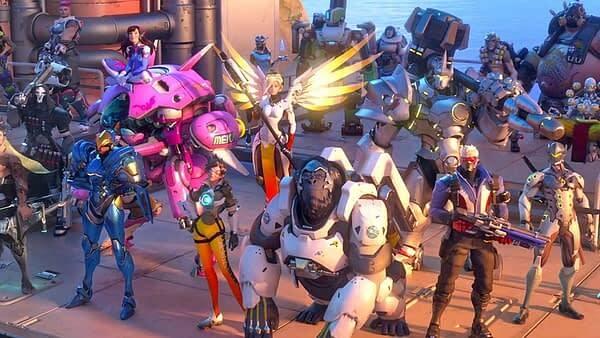 Blizzard’s fourth-quarter play time surpassed previous records, including the one just set in the third quarter. Overwatch‘s two seasonal events Halloween Terror and Winter Wonderland drove new records in terms of player engagement. World of Warcraft saw an increase in total play time for the quarter, surpassing that of the Q3 launch quarter and all non-launch quarters in the last four years. So, more people are playing WoW for longer these days. Maybe that was just a holiday break spike, but it could indicate the success of recent WoW expansions. And rounding out the trend, revenues from in-game content (read: microtransactions and vanity items) reached a record $3.6 billion in 2016, more than double the $1.6 billion earned in 2015. Call of Duty: Black Ops III‘s add-on revenues outperformed the Season Pass and individual map packs combined, even with record Season Pass participation. It’s worth noting that, despite its success, Activision Blizzard consider Call of Duty: Infinte Warfare to be a disappointment. So they’ve decided to return the series to its roots for Call of Duty 2017. If you want my take on what that could mean, you can read it here. Basically, Activision Blizzard is a gaming giant and they continue to do well. No real surprises there. You can read the full report here. You can also check out our coverage of Ubisoft, Take Two Interactive, Disney, Square Enix, and Sega’s recent reports.